This post is sponsored by Fromager d' Affinois. All opinions are my own. 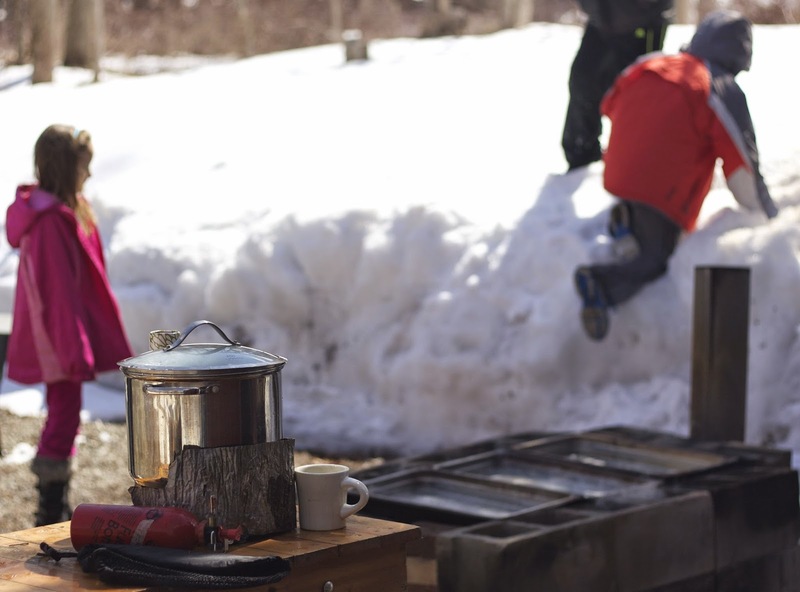 We had my family over this past weekend to help us make maple syrup. 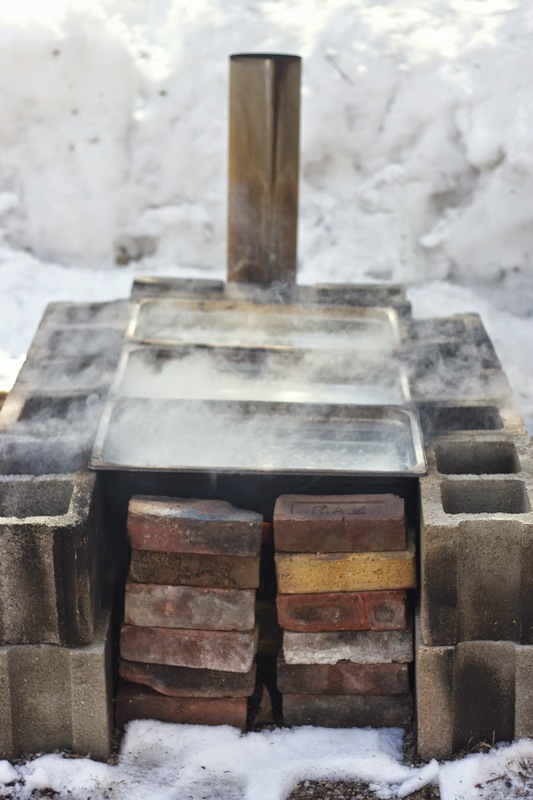 Yes, it's sugaring time in the Northeast! We finally have days above freezing, so the sap is flowing. 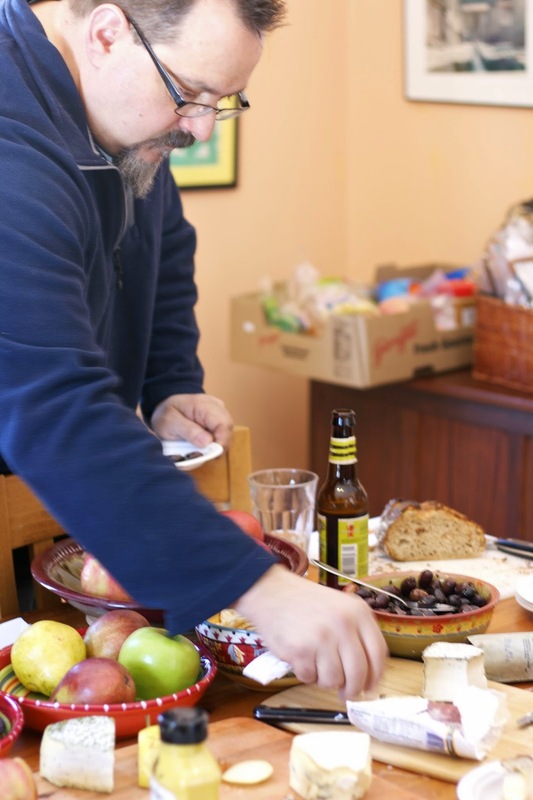 Having cheese to sample was perfect for our breaks from cutting wood and straining the sap. 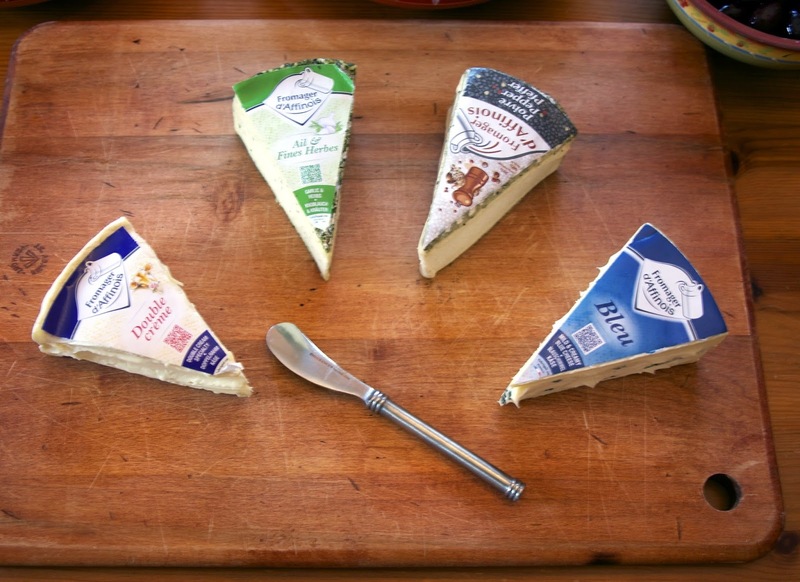 Ever since my return from Paris this Fall I have been obsessed with French cheese, so it was very exciting to hear that Fromager d' Affinois, a well know French cheese company that is popular in the US, decided to add some new cheeses to it's double-creme line. Fromager d' Affinois's plain Double Creme is a cheese I have bought for years. I found the super creamy texture and the buttery sweetness of this cheese to be a good primer for introducing my kids to brie, from there they have gone on to like a variety of cheese. 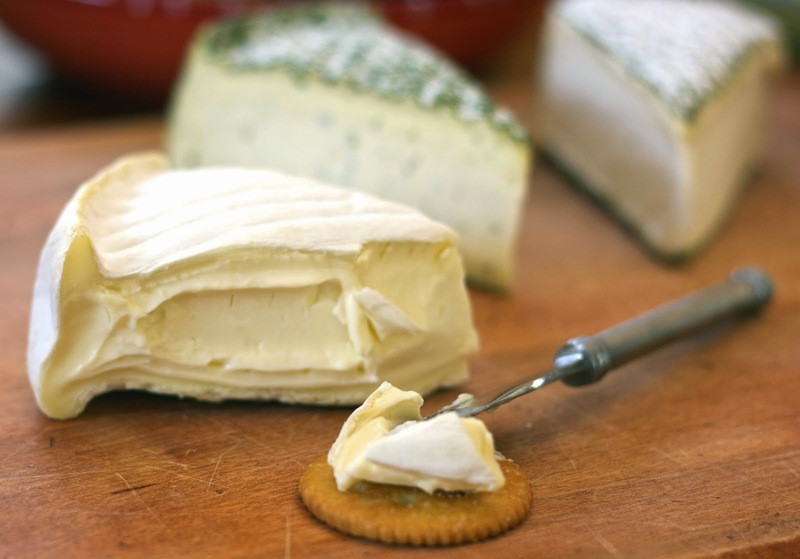 My family loves the plain Double Creme on Ritz crackers which bring out the butteriness of the cheese without overpowering it's rich flavor. Both of my kids like French herbs and garlic, so they were excited to try the new Ail & Fines Herbes. 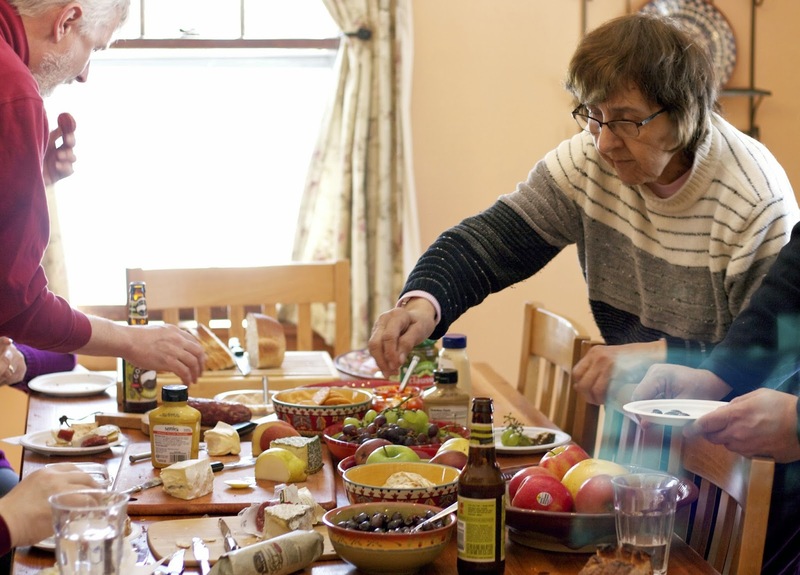 It seem to be the cheese that everyone enjoyed pairing with fruit. My very Italian family loved the Poivre cheese... It's peppery flavor was a perfect compliment to the hard salami and soppressata my brother and mother love to eat. My husband and I had a special fondness for the Bleu cheese. 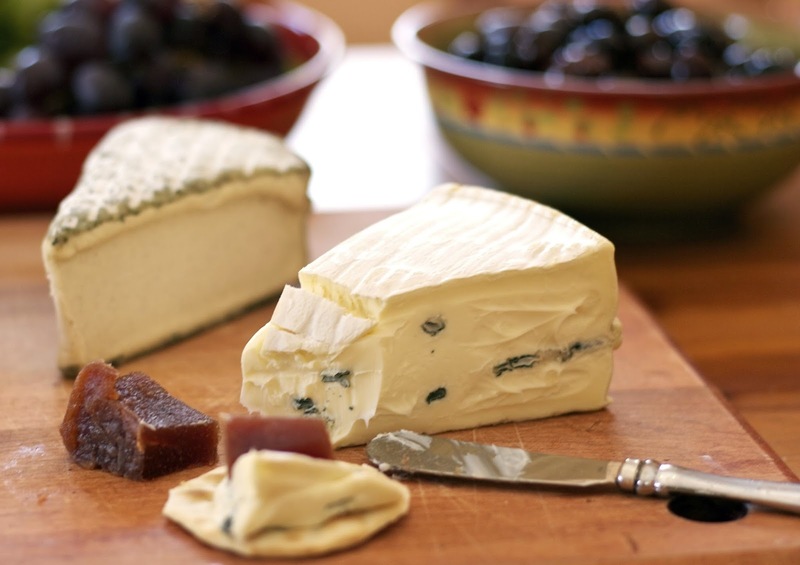 When we were in Paris we learned about pairing blue cheese with quince paste. It is amazing the way this fruit brings out the best flavors in blue cheese. Fromager d' Affinois Bleu is the creamiest blue cheese I've ever eaten, even my aunt who isn't a fan of blue cheese loved it, because it was so creamy and mild. We had a successful day reducing the sap and making about a gallon of maple syrup that we drizzled on the Double Creme later that day. 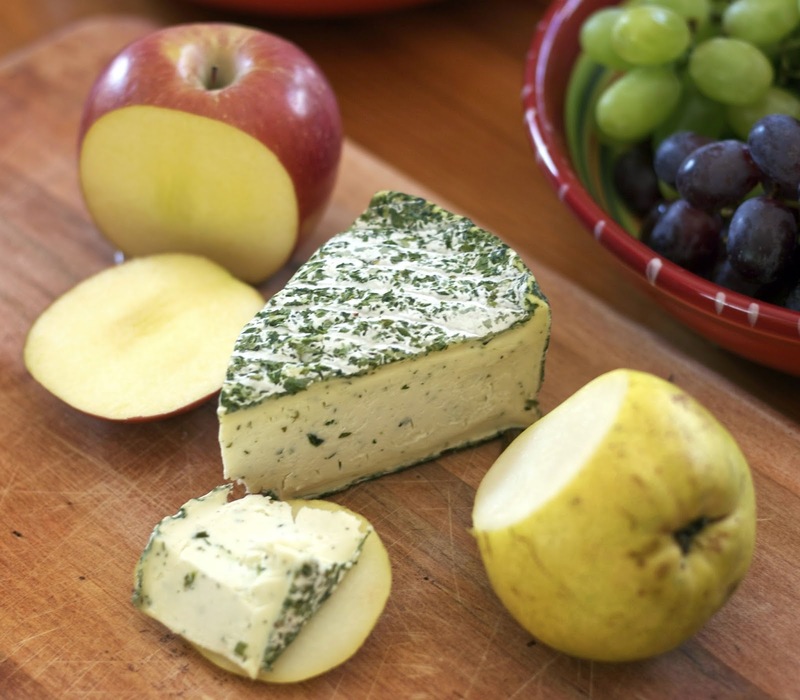 If you want a cheese that will please everyone in the family truly, try some Formager d' Affinois Double Creme cheese, the texture and now variety of flavors are sure to make everyone happy at your next gathering. Your menu looks delicious. I think it would be so much fun to make syrup! I love your cheese and meat tray! I would eat that way every day! 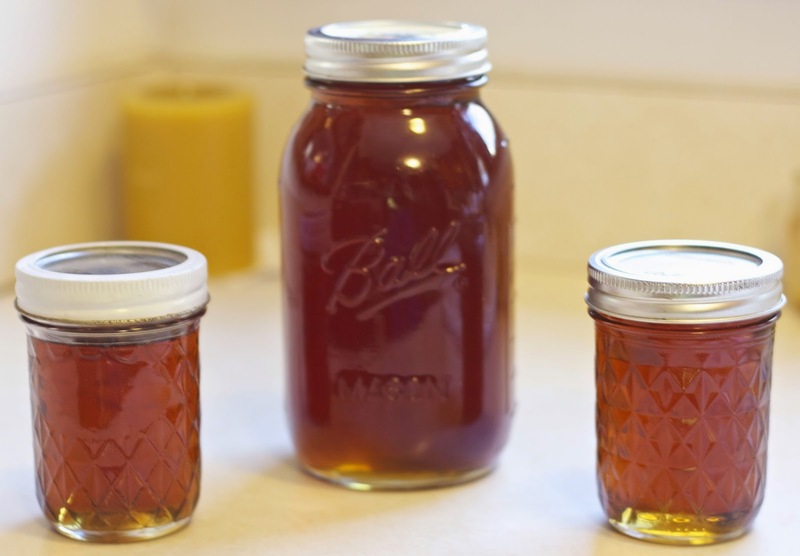 It is pretty amazing how the clear sap transforms into brown syrup. The cheese helped to keep us going. It was a long day. Yay for maple syrup-ing! Glad you finally got some warmer temps. This cheese sounds perfect for a light snack while doing busy work. It is still pretty cold in the morning here and we got snow yesterday, but it slowly warming up. Is it getting more like Spring for you guys? This cheese is awesome. If you see it in your grocery store grab it. It is so creamy. The kids will love it.